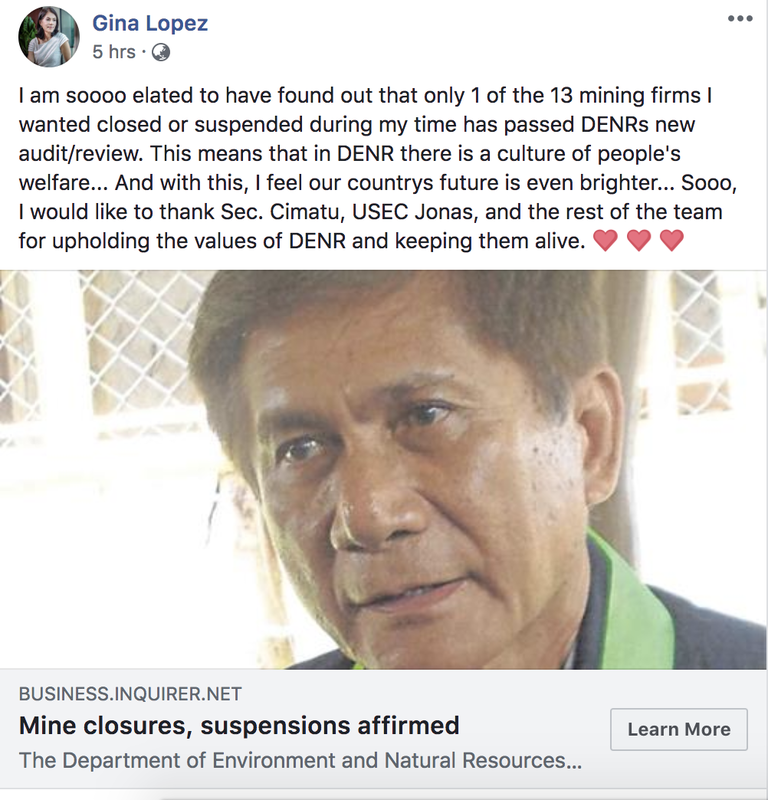 It seems like DENR Secretary Roy Cimatu is doing a great job keeping these pesky mining firms in check. In a Facebook post, former DENR Secretary Gina Lopez expressed her elation with Cimatu's performance as the new secretary of the department. Cimatu replaced Lopez as DENR Secretary after the latter's appointment was junked by the Congress' Commission of Appointments. Lopez also published a reaction video about the matter. 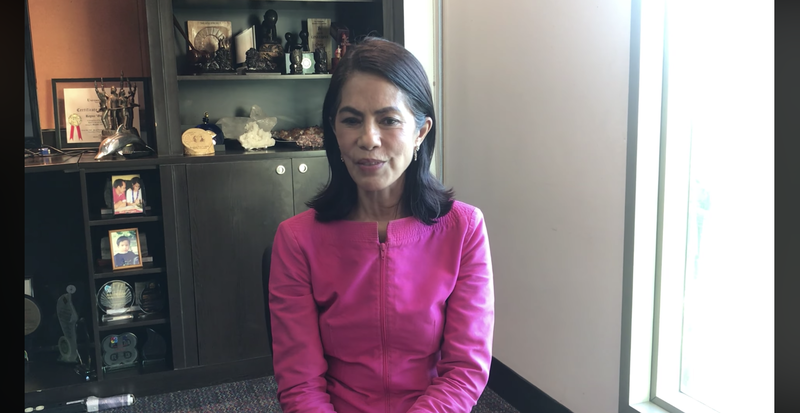 After Lopez' ouster in the department, many thought the fight against illegal and destructive mining will go with her. Following the orders of President Duterte, Cimatu proved that the government's resolve to end these environmental perils will continue under his watch.